Last week it emerged that Rocket Internet has entered Myanmar, and now it seems that the Germany-headquartered company also has plans for Cambodia, where it has launched an e-commerce site. The Pheom Penh Post reports that Khmer-English retail site shop.com.kh, which is currently stocked with a range of electronics items, including laptops, mobile phones, etc. The company will be expanding the service’s reach, however, with baby products one niche that will be covered. Visitors to the site can order products, which are delivered on the same day and paid for on arrival (Web-based payments are a regional pain point) while there is 9-5 telephone support – a recipe that the firm hopes will gain traction. The site is a first for Cambodia’s small but growing Internet commerce space, according to Karl Seilern, a co-founder of Rocket Internet Cambodia, who told the Post that it is the first B2C site in the country. Seilern said that Rocket is poised to pump “millions” into its operations in Cambodia. It seems likely then, that we can expect it to open other e-commerce ventures as it has done in Myanmar, where it has a job board, car-sales site and general e-commerce service. Being an early mover in Cambodia means Rocket is likely to gain access to and ownership of its pick of SEO-friendly URLs. Grabbing an attractive site name — such as shop.com.kh — is a key part to e-commerce, and it will give the firm a real headstart in the nascent space. As with Myanmar and its other worldwide services, the company is aiming to build up an scalable and lucrative businesses that can be auctioned off for a sizeable profit and return on investment. 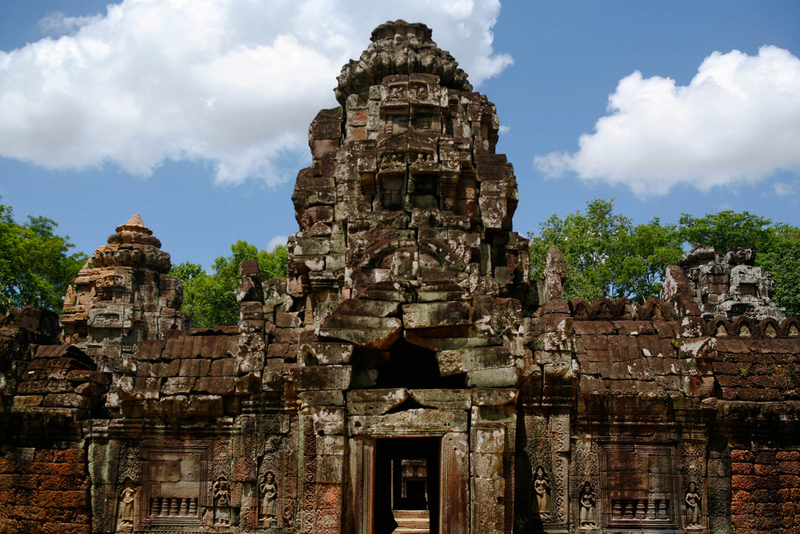 Cambodia is a travellers’ paradise, with a number of ancient ruins and temples, but the state of technology is more advanced than might be expected. A number of national mobile operators provide decent 3G mobile services but, when it comes to the Internet, things are less rosy. This excellent TFT article reports that just 0.5 percent of the near 15 million population has ‘regular’ Internet access (though there are some 550,000 Facebook users). Smartphones and other technology are changing things by offering more convenient, regular Web access to more people in the country – although don’t expect the iPhone to be the key driver, as it remains unaffordable to most. Many of Rocket’s investments in emerging markets are aimed at riding the wave of increased Internet adoption, and Seilern says that Cambodia is seeing Internet usage grow by 1.2 percent each week. However, the Rocket executive doesn’t anticipate that the service will turn in profit for “a number of years”. Rocket currently operates more than half a dozen regional services across a range of Southeast Asian countries, including Singapore, Malaysia, Indonesia, Thailand, Myanmar, Vietnam; although there may be other country-specific projects that the notoriously secretive firm has yet to reveal. Though it will be forever branded a rip-off merchant in the US and Europe, Rocket’s efforts in Southeast Asia (and other markets) are bringing services that are taken for granted in the West to countries where the benefits could have significant impacts.